Innovative winemakers in Maine are playing up the rustic charm to attract visitors. Innovative winemakers along the Main Wine Trail are playing up the rustic charm to attract visitors. Whether enjoying Cabernet Sauvignon in refurbished barns or ice wine tastings in restored Civil War-era spaces, wine lovers are flocking to this original, rural trail. 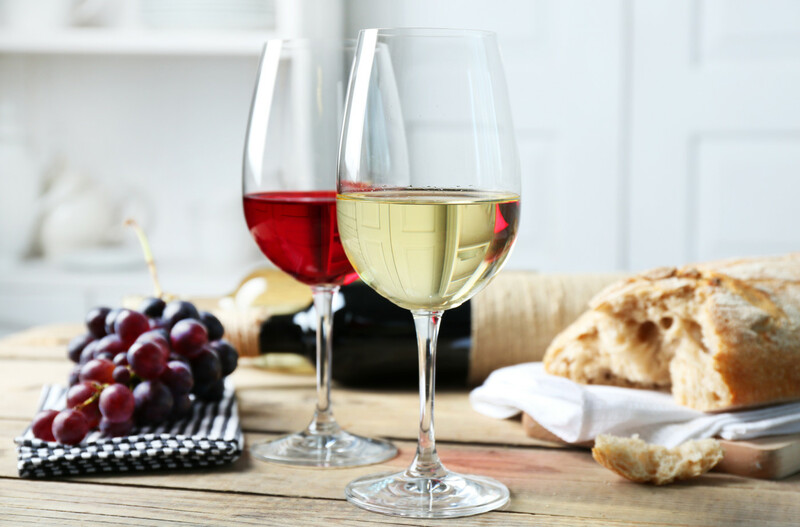 Begin with Blacksmiths Winery in South Casco, where you can sample grape and fruit wines, including the popular Trillium, a house blend of Chardonnay, Riesling and Pinot Gris, or their unusual rhubarb wine. Free tastings are held in the refurbished barn of the former local blacksmith whose shop did big business in the late 19th century. Popular choices at Blacksmiths Winery include a smoky Cabernet Sauvignon and Roughshod, a mix of Maine blueberries and brandy. Don’t miss their intriguing, house-made “Soda de Vine”—Merlot and Riesling-flavored sodas created without added sugar. About 90 miles from South Casco, Oyster River Winegrowers in Thomaston offers free tastings of their dry Villager White, fruity Petite Sirah and other wines in a tiny tasting room, one corner of which is a market selling local produce. The winery and vineyard is located in nearby Warren, where the winemakers will harvest their own Vidal Blanc, Traminette and La Crescent grapes. Until their own grapes mature, grapes are sourced from New York and California. In the heart of the midcoast, more than 2500 vines grow on 32 acres at Breakwater Vineyards. Chardonnay, Riesling and Pinot Noir can be sampled at no charge in the tasting room—and even the family goats have wine names. A chandelier made from empty wine bottles illuminates the room with a gentle glow. The showstopper is the nuanced Pinot Noir. Aged in Hungarian and French oak barrels, the wine is dry and just slightly earthy. Head slightly inland to Savage Oakes Vineyard & Winery and Sweetgrass Farm Winery & Distillery, both in rural Union. Savage Oakes’ tasting room displays humorous T-shirts with sayings like “Age Gets Better with Wine” and “Think Globally, Drink Locally” and sells farm-raised beef and chicken. Their vineyards produce nine grape varieties, including hardy Marechal, Frontenac and Marquette grapes, as well as St. Pepin and Frontenac Gris, all especially suited to Maine’s rugged soil and climate. Enjoy a free sampling of Georges River, made with Cayuga grapes, or the Leon Millot-based Barn Red. Nor’easter, a Port with 19% alcohol, will bolster one’s courage in the fiercest storm. Overlooking the Medomak River Valley, Sweetgrass produces fruity wines and Ports as well as distilled spirits—among them the award-winning Back River Gin, plus rum and fruit brandies—using a copper alembic pot still. Among the wines are their popular “smashes,” including Blueberry, Cranberry, Peach and Apple. Maple Smash is an unusual blend of brandy and maple syrup. You can also purchase bitters here. Flavored with blueberry or cranberry, they add a distinctive touch to cocktails or cooking. Fleeces from the farm’s sheep are sold for throws and lap rugs. Next, visit Cellardoor Winery in coastal Lincolnville where visitors relax on tractor seats (supported by ax-handle legs) while tasting the wines in a beautifully remodeled barn. In days gone by, hungry hobos carved abstract symbols into doors to indicate friendly families good for a handout; ask to see the carving on the cellar door that gives the winery its name. Enjoy sweeping vistas of the vineyards while sipping dry Viognier or light, low-tannin “Ned Said, ‘Red.’” Shop for wine-related gifts, cookbooks and cheeses in the expansive store, tour the 9,000-square-foot winery, and hike to the wild blueberry barrens in the fields beyond. A stuffed moose head watches over the Bar Harbor Cellars tasting room in a restored Civil War-era barn. Black Currant Apple Wine deserves its status as the winery’s best seller. Made from apples fermented to their ultimate dryness and mixed with imported black currant reserve, the flavor is that of cassis. If available, taste the small-batch ice wine made from Vidal grapes and don’t miss the climate-controlled room devoted entirely to several kinds of gourmet chocolates. Maine’s oldest winery, Bartlett Maine Estate Winery in Gouldsboro on picturesque Schoodic Peninsula, should be next on your list. In a hand-wrought stone building taste an unusual loganberry wine. Bartlett’s dry fruit wines, including Reserve Oak Dry Blueberry, as well as their meads, have won awards; the on-site Spirits of Maine Distillery offers an award-winning, crystal clear, Pear Eau-de-Vie and a golden Apple Brandy aged more than a year in French oak. Small-batch fruit wines using favorite New England fruits like apples, pears, and berries are specialties at Winterport Winery in Winterport. Among the best are the Flying Dutchman, a fortified blackberry wine, and Winter Gold, a rich, apple-based dessert wine. The winery hosts frequent lunches and dinners with food and wine pairings. Brews at on-site Penobscot Bay Brewery located on the premises, include Old Factory Whistle, a Scottish-style red ale, and there’s even ice cream flavored with stout. Nestled among rolling hills, Younity Winery in Unity currently makes just three wines—blueberry, elderberry, and cranberry—with a fourth, a rhubarb wine, in the works. The winemaker has his tongue firmly in cheek when it comes to creating wine names and labels. A fanciful animal wearing a pink tutu struts her stuff on the cranberry “Tickled Pink.” The dry blueberry wine called “Somethin’ Blue” is, for obvious reasons, popular at weddings; its label includes a blue ribbon graphic. The label on Palmer Sisters’ Elderberry Wine depicts three women sitting demurely around a table set for a very proper tea, while a fourth, standing, hides a wine bottle behind her skirts. Dragonfly Farm & Winery in Stetson marks the northern end of the trail, selling maple syrup, jams and gift baskets as well as 10 wines produced from their own grapes. Taste “Clarity,” Riesling-like with the aroma of apricots, dark red St. Croix and sweet Raspberry Riot. Other wineries with tasting rooms include Prospect Hill in Lebanon, near the New Hampshire border (three white and nine red grape wines from their own vines), Maine Mead Works in Portland (mead), Daybreak Vineyard in Wiscasset (organic grape wines), and Sow’s Ear Winery in Brooksville (fruit wine, including rhubarb and chokecherry). In Franklin, in northeastern Maine, Shalom Winery offers organic, sulfite-free fruit wines and old-fashioned “Cyser,” a mix of honey, cider and native cranberries. Until recently, Maine wines have been one of the state’s best-kept secrets. But no more. As the locals say, they’re just too “wicked good” not to share. Note: For overnight accommodations along the Wine Trail, go to Historic Inns of Rockland. Trolley tours to several wineries, with hotel pickup and drop-off, are available through All Aboard Trolley and Limousine Co.